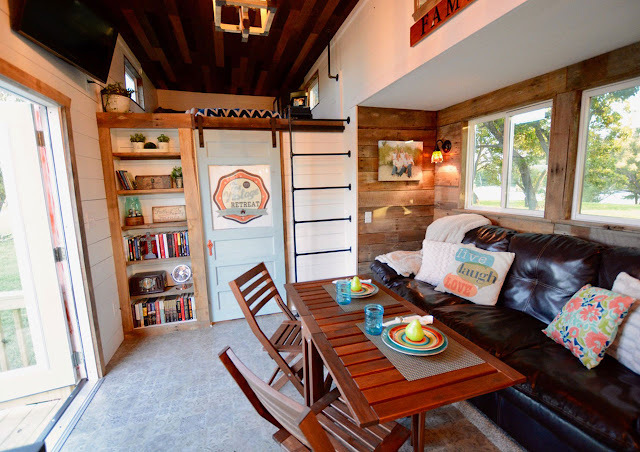 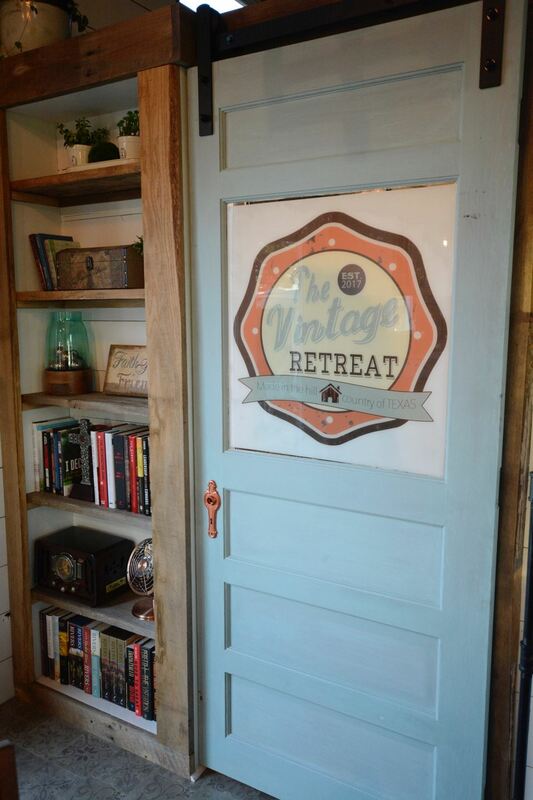 If you're in the market for a tiny home with luxury features and a roomy layout then look no further than The Vintage Retreat! 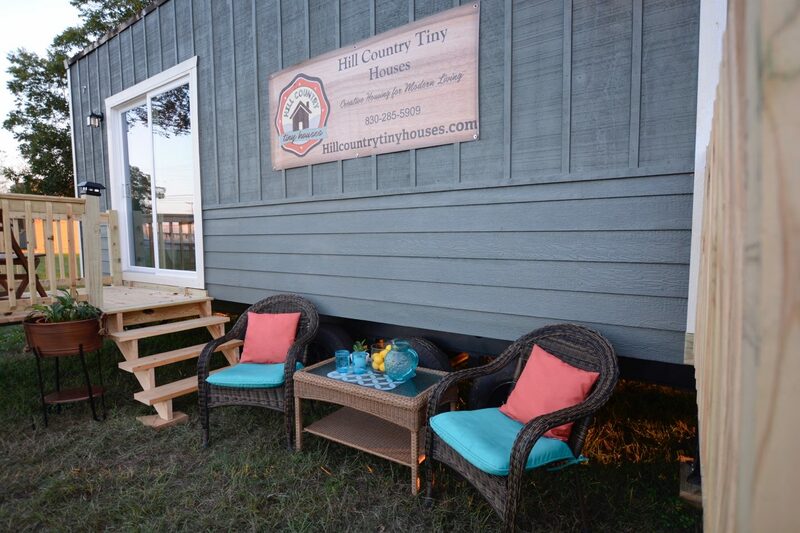 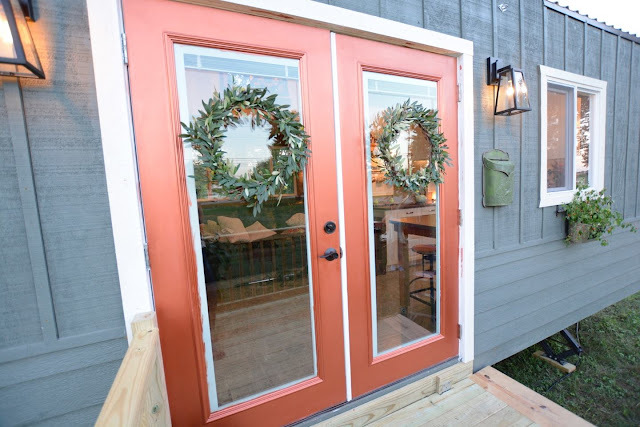 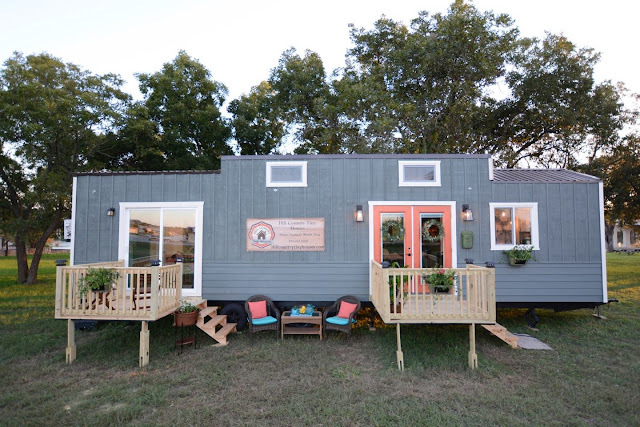 The home is designed and built by Hill Country Tiny Houses of Kerrville, Texas. 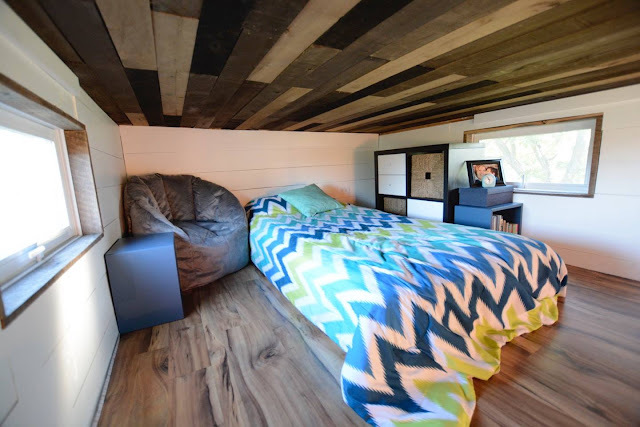 It's built onto a custom 40' trailer with an interior size total of 384 sq ft. 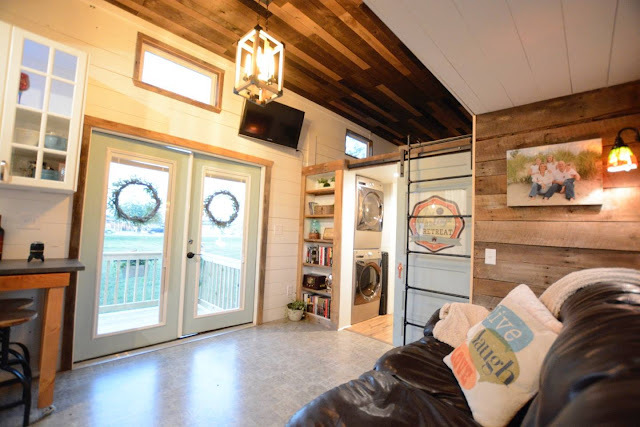 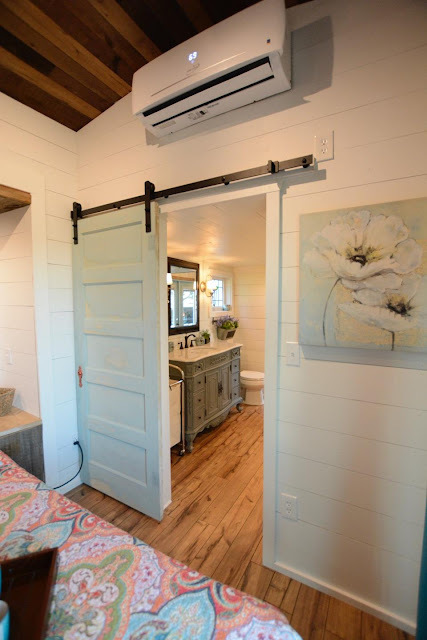 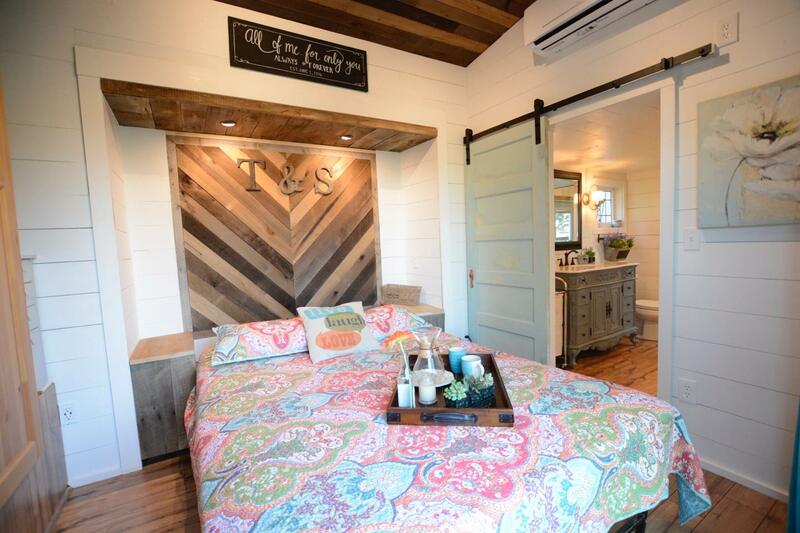 The interior features bright shiplap and barn wood walls. The home's master bedroom is on the ground floor and comes with a Murphy bed and fold-out desk. 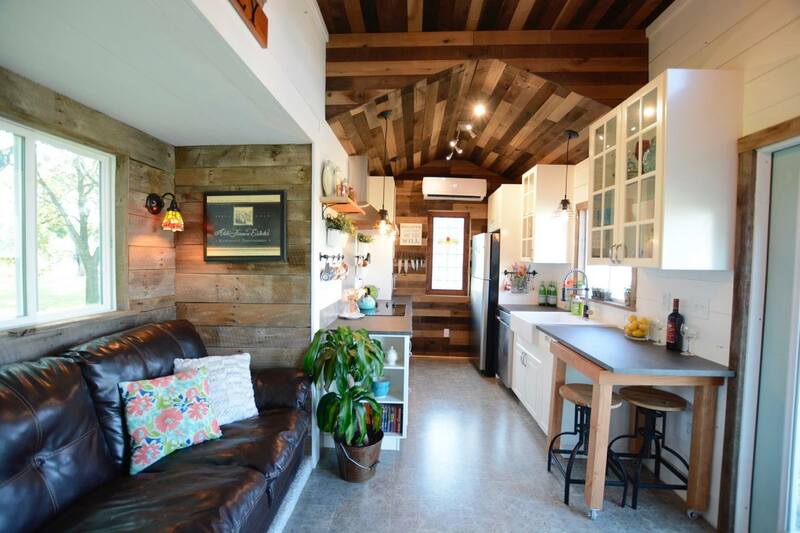 There's also a second loft bedroom with 70 sq ft of space! 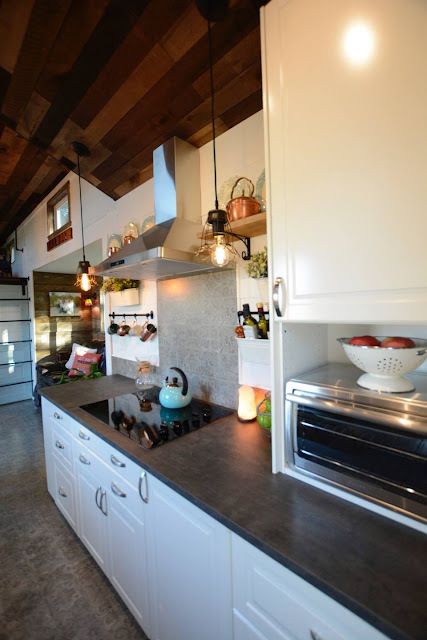 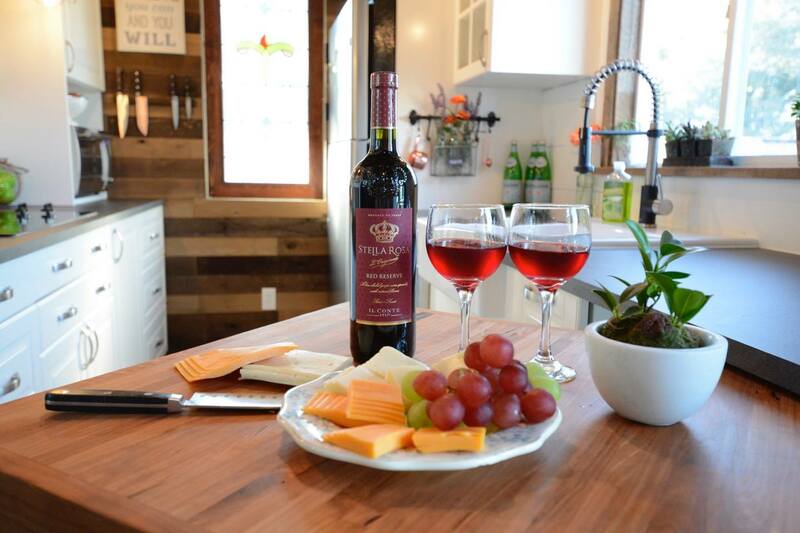 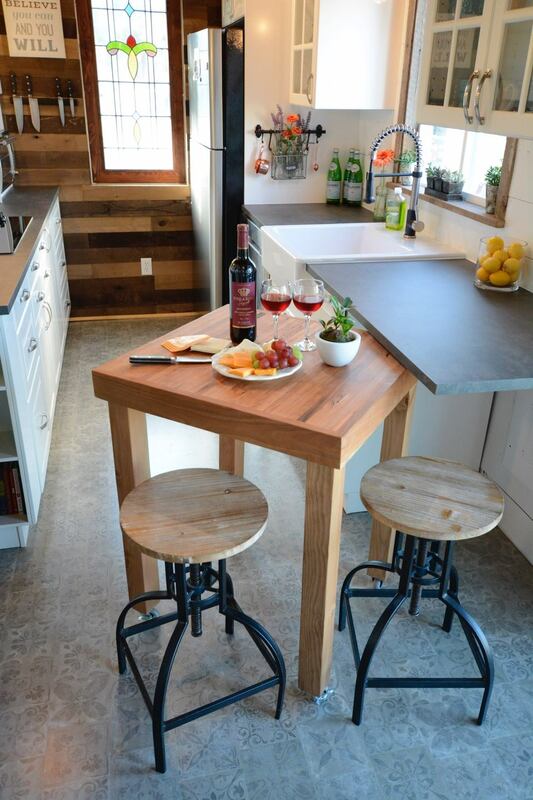 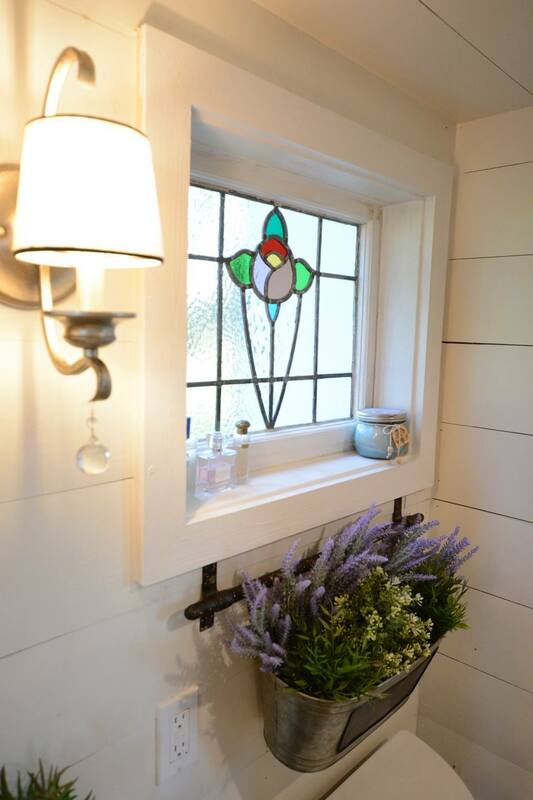 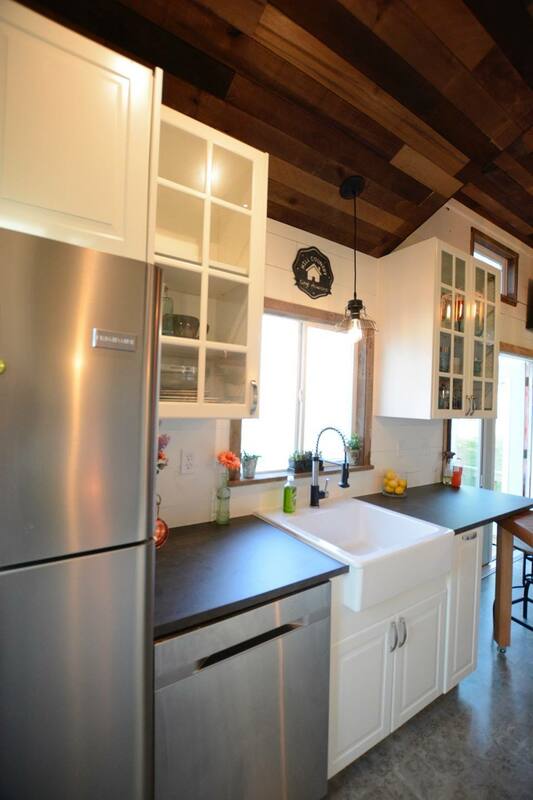 The Vintage Retreat's kitchen features a handmade moveable island with cherry wood countertops and a farmhouse sink. 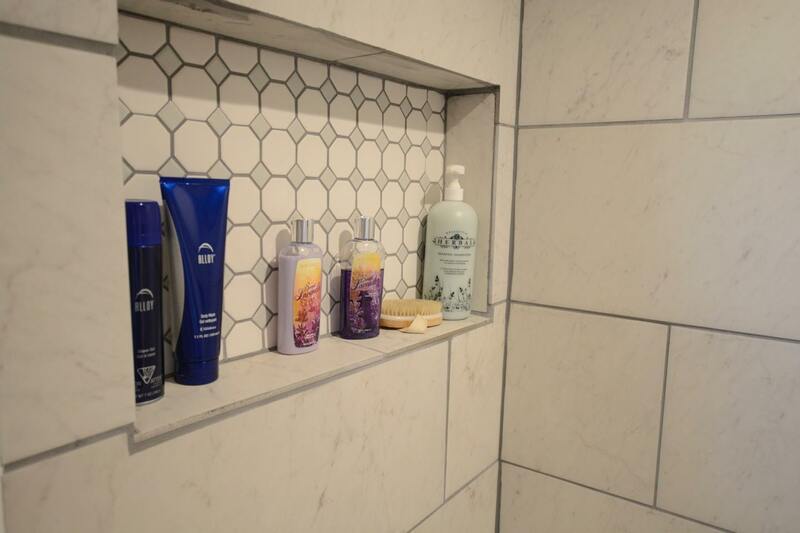 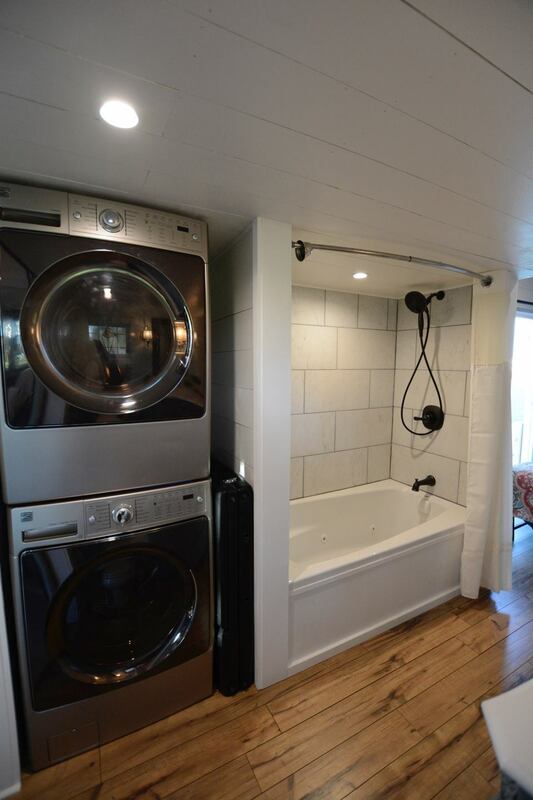 There are also appliances included in the sale of the home! 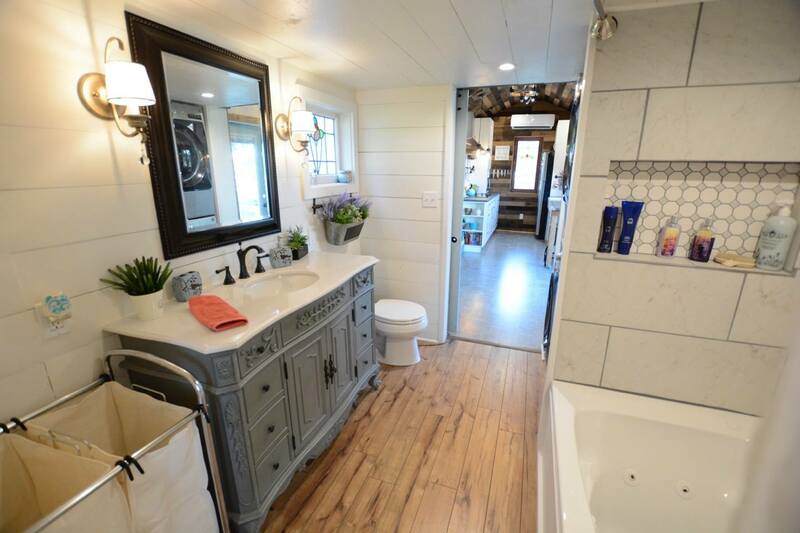 The bathroom of the home features a 48" antique vanity and a full-sized jetted tub. The Vintage Retreat's pricing starts at $68,000 but is currently available for 10% off if ordered by December 31st of this year. 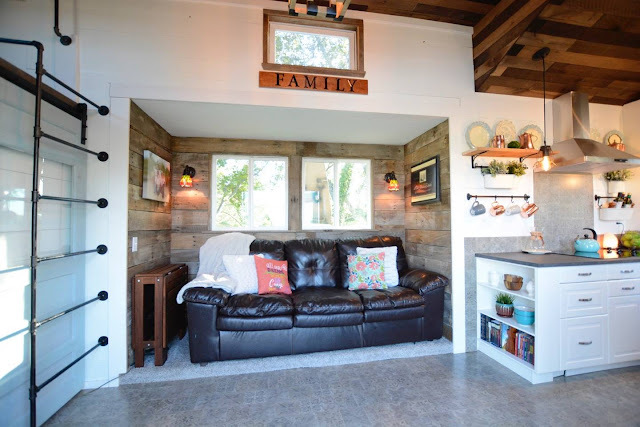 The model is made-to-order and takes about 6 to 8 weeks to complete.